Searching for the most comfortable shoes for travel? 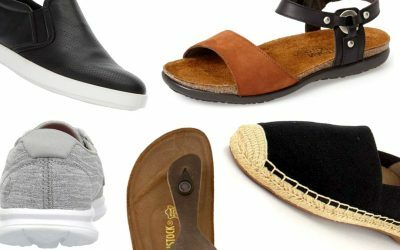 From comfortable walking sandals to white sneakers to ankle boots, we have dozens of articles featuring the most comfortable shoes for travel. Start reading below as we help you find the perfect style for your trip! And don’t forget to download the free 10 step guide to choosing the best travel shoes! Bad shoes can turn an amazing trip into an uncomfortable disaster. 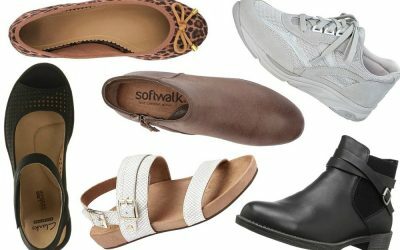 Find out our readers’ top picks for the most comfortable and cute shoes for wide feet! 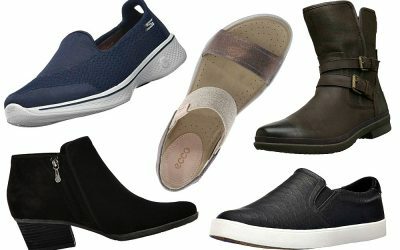 What are the most comfortable and cute walking shoes for travel? 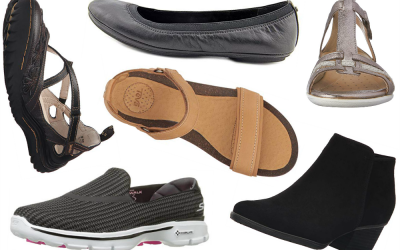 Our readers vote for the best women’s shoes for travel. Find out the brands they recommend! I shopped around for the most comfortable ballet flats for travel. The best part is, most of them are under $100! Find out what they are! Suffer from plantar fasciitis? Travel shoes with good arch support are a must! 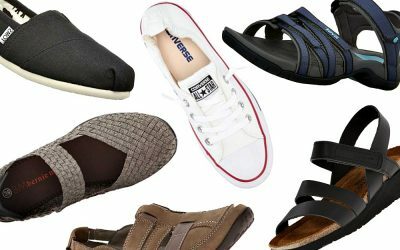 Find out what our readers voted as the best shoes for plantar fasciitis. The unexpected issue travelers find once they get to Europe is in the cobblestone streets. Find out why and how to choose the best walking shoes for Europe! 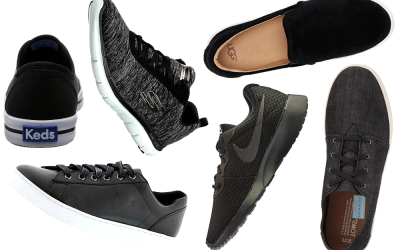 If you’re wondering what are the best travel shoes for Italy to avoid looking like a tourist, read on as the TFG readers share the styles you need to pack! White sneakers are trendy, and they’re also comfortable. Here, we’re sharing what our readers recommended as the best white sneakers for travel. 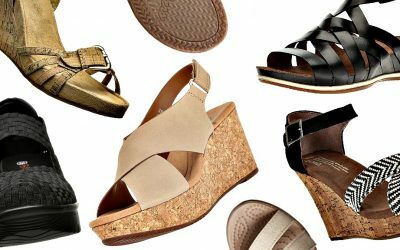 Travel Fashion Girl readers recommend the most comfortable wedges for travel to Europe. Find out their top picks! What are the Best Black Sneakers for Globetrotters? Black sneakers are fantastic shoes to include when you are packing, stylish yet comfortable! Readers share their favorite black sneakers for travel. 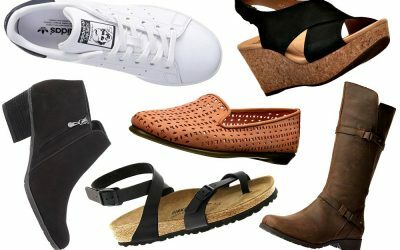 We asked you to vote for your all time favorite travel shoes and the results are in! 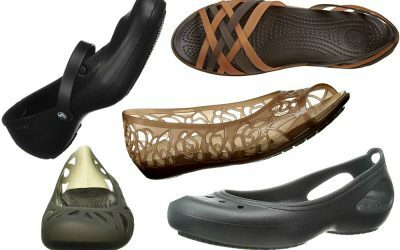 Find out what TFG’s readers voted as the best travel shoes! Slip-on sneakers are a trendy alternative to lace-up sneakers and can be worn year-round. Like any shoe, finding one comfortable enough for long days of travel can be a challenge. 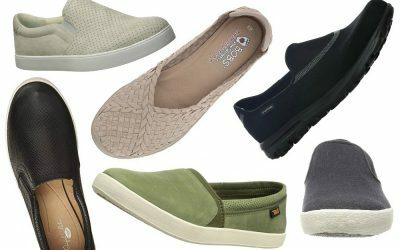 Find out what our readers ranked as the most comfortable slip-on sneakers for travel. 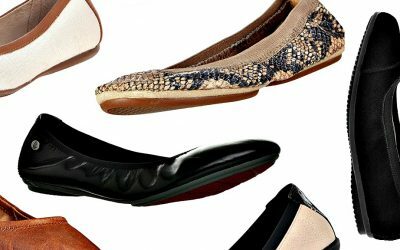 Travel Shoes and The Sinful Tip I’m Sharing with You – For Fashionistas Only! Contrary to all travel fashion rules, shoes are the single styling tool that takes an outfit from the mountains to the city! Shoes are the key to traveling in style even with the most diverse weather and seasonal trips. Follow our must-know shoe tips before your next trip! Teva and UGG are two of the more popular travel shoe brands, and our readers can’t stop raving about two of their boot styles. 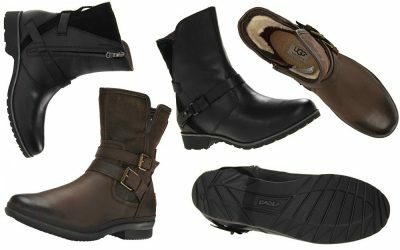 Keep reading to see our review of the Teva De La Vina and UGG Simmens boots! Are these Really the Best Travel Shoes for Europe (in Summer)? Finding shoes for a summer vacation isn’t easy. You don’t want to wear anything too heavy for the hot weather, but you also want shoes durable enough to withstand plenty of walking. 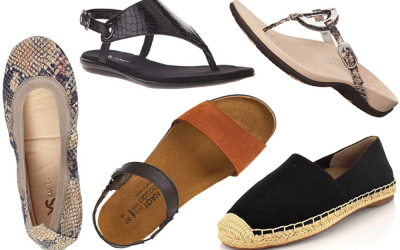 Before you purchase a pair, read our must-know tips for how to choose summer shoes!